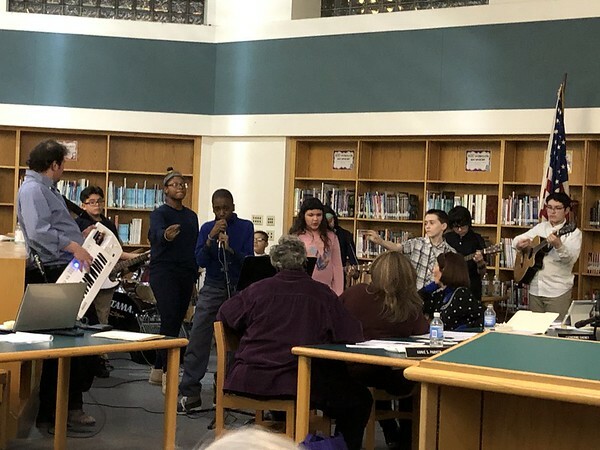 NEW BRITAIN - With about half of the 2018-19 school year in the books, Superintendent Nancy Sarra provided the Board of Education with an update on the school district’s current redesign process Monday night. Sarra and Assistant Superintendent Michael Foran detailed some of the feedback they’ve gotten since the implementation of a new curriculum this school year. This year, New Britain schools have had an emphasis on STEM-based learning, consisting of science, technology, engineering and math. This change came with schedule adjustments for all grades to reflect the focus on STEM. Based on feedback, these schedule changes may be adjusted last year to better allow for more elective choice and class options. The school district is exploring a few additional ideas for next year, including consolidating preschool in the district and introducing a new academy to New Britain High School. Currently, there are preschool classes at DiLoreto Elementary School, Lincoln Elementary School, Gaffney Elementary School and Roosevelt Early Learning Center. A proposed plan for next year, presented to the board Monday, would consolidate the classes into RELC and Gaffney. The board was also presented with an idea Monday to create a Manufacturing, Engineering and Technology Academy at New Britain High School. As indicated by the name, the new academy would focus on building and training a workforce geared towards manufacturing and engineering fields, fields currently experiencing a large skills gap in the state. According to the National Association of Manufacturers CT, there are more than 13,000 open manufacturing jobs in Connecticut. Posted in New Britain Herald, General News, New Britain on Monday, 4 February 2019 20:46. Updated: Monday, 4 February 2019 20:49.